It is impossible to overstate the importance of British novelist CHARLES DICKENS (1812-1870) not only to literature in the English language, but to Western civilization on the whole. He is arguably the first fiction writer to have become an international celebrity. He popularized episodic fiction and the cliffhanger, which had a profound influence on the development of film and television. He is entirely responsible for the popular image of Victorian London that still lingers today, and his characters-from Oliver Twist to Ebenezer Scrooge, from Miss Havisham to Uriah Heep-have become not merely iconic, but mythic. But it was his stirring portraits of ordinary people-not the upper classes or the aristocracy-and his fervent cries for social, moral, and legal justice for the working poor, and in particular for poor children, in the grim early decades of the Industrial Revolution that powerfully impacted social concerns well into the 20th century. Without Charles Dickens, we may never have seen the likes of Sherlock Holmes, Upton Sinclair, or even Bob Dylan. 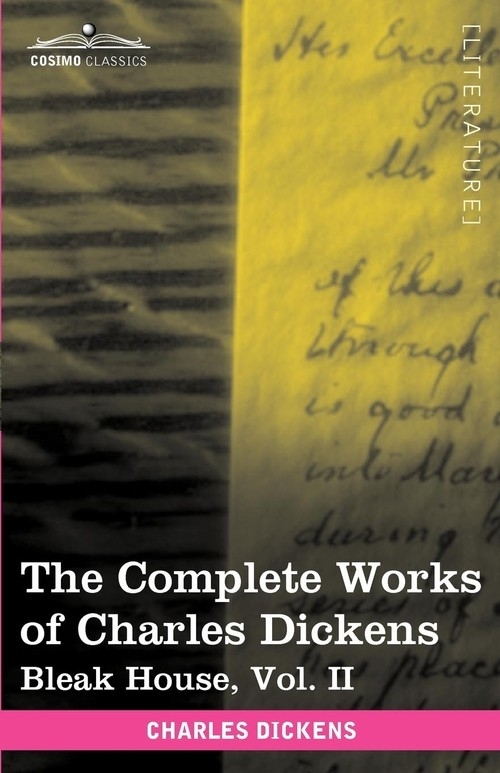 Here, in 30 beautiful volumes-complete with all the original illustrations-is every published word written by one of the most important writers ever. The essential collector's set will delight anyone who cherishes English literature...and who takes pleasure in constantly rediscovering its joys. This volume contains Part II of Bleak House, Dickens's ninth novel, which was originally serialized in standalone installments between 1852 and 1853. The story of Esther Summerson, an illegitimate child of the aristocracy, and her search for her parentage and her place in the world, it is one of Dickens's finest works, featuring biting commentary on Victorian attitudes toward women as well as toward the English legal system.